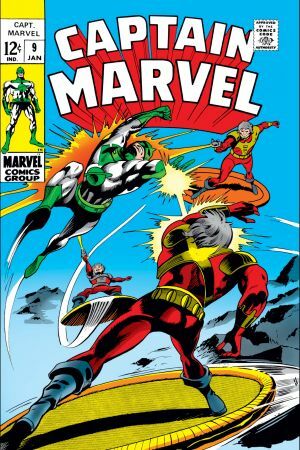 There's no question we're back and better than ever, so brace yourself for the fabulous 50th Masterworks volume featuring a brand new Silver Age success story-Captain Marvel! 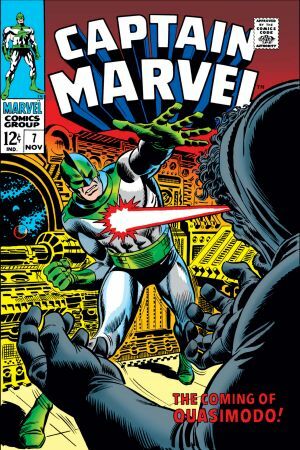 That's right, True Believers, the space-born super hero is coming at you with scintillating science fiction in the Mighty Marvel Manner! 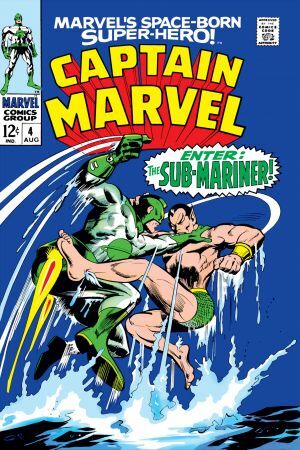 Crafted by the titanic talents of Stan Lee, Roy Thomas, Gene Colan with a hearty helping from inheritors Arnold Drake and Don Heck, you're going to need your breathing potion to keep up with the Kree Captain! 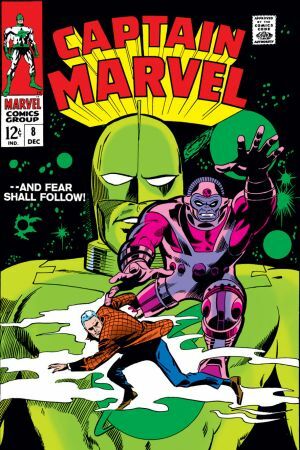 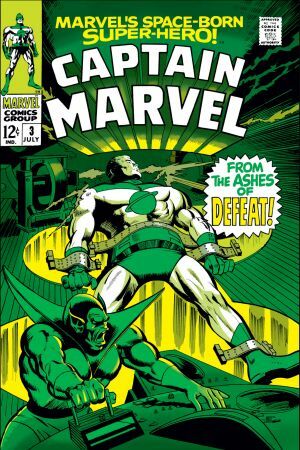 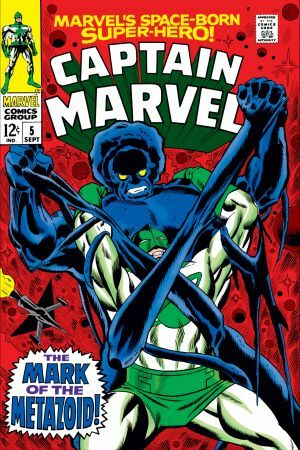 Branded a traitor by the vicious Colonel Yon-Rogg of the Kree for defending the people of Earth, Captain Mar-Vell assumes the human identity of Walter Lawson and becomes the planet's protector against an awesome array of interstellar baddies! 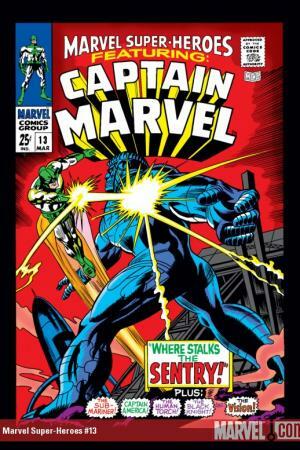 Prepare to batten down the hatches for battles with the massive Sentry #459, the savage Super-Skrull, Prince Namor of Atlantis himself and Quasimodo the Living Computer! 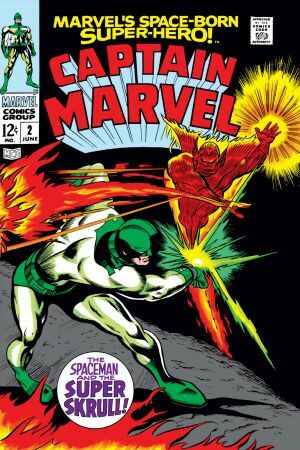 While you're at it don't forget to grab some tissues for the heartbroken Medic Una as the good Captain falls for Avenger-to-be Carol Danvers in her first-ever appearance! 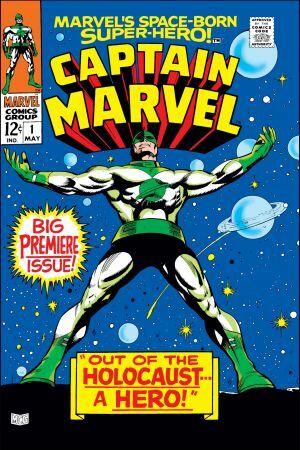 Here's to another 50 volumes of Masterworks magic! 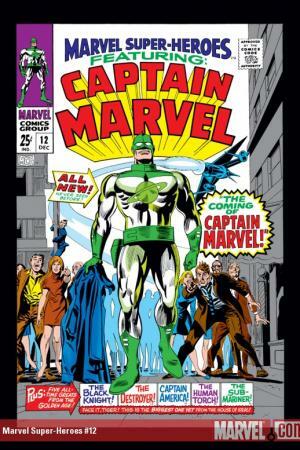 Collecting MARVEL SUPER-HEROES #12, 13 and CAPTAIN MARVEL (Vol. 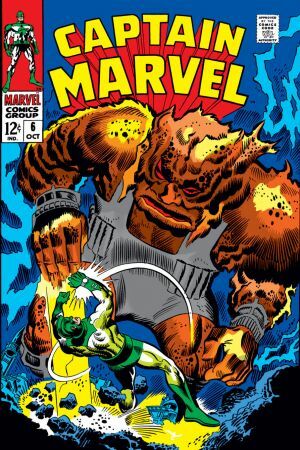 1) #1-9.